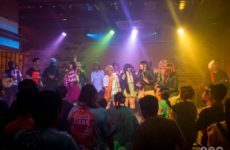 THE MAGIC RAIN team got the opportunity to sit down for an interview with yuyoyuppe otherwise known as DJ TEKINA//SOMETHING. He’s a singer, songwriter, producer and a DJ and is also part of a rock band. He’s most well-known for being the former Sound Producer for BABYMETAL as well as a Vocaloid Producer. 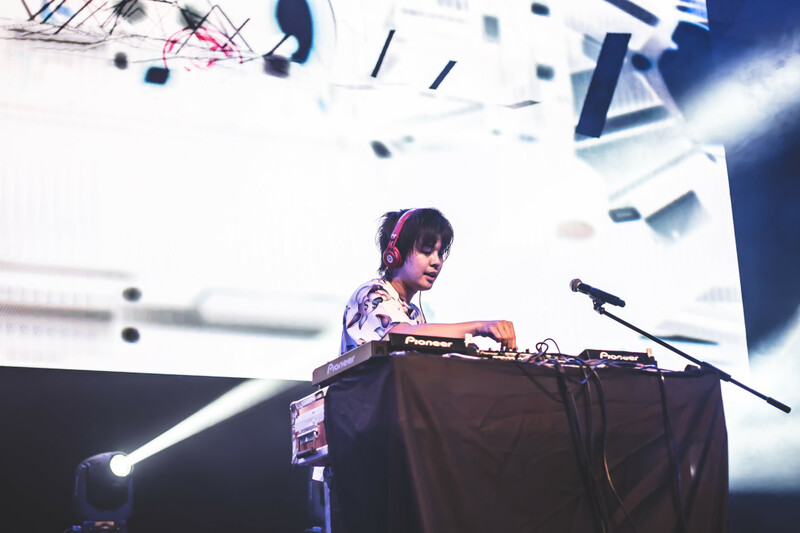 Q: You’re known as yuyoyuppe as well as DJ TEKINA//SOMETHING. What is the difference between these two personas? Y: I used the name yuyoyuppe in Nico Nico Douga where I make band music as well as Vocaloid music. Now that I get to perform outside of Japan and participate in events like Comic Fiesta, I somewhat regret my name now. It’s very difficult to read (laughs). As for DJ TEKINA//SOMETHING, I had a chance to do a DJ job, and I went on Skype with my manager to discuss what sort of name to use just for that event. So, I went for the DJ event and it was somewhat accidentally confirmed that my name would be DJ TEKINA//SOMETHING. Q: How did you come across Nico Nico Douga and how did your start your career as an utaite and Vocaloid producer? Y: I used to be in a band and I met a lot of people. Unfortunately, in the process of meeting so many people, I had a falling out with some of them and I grew uncomfortable with the whole scene. I also just got dumped by my girlfriend at the time (laughs). After that, my friend told me about Nico Nico Douga and encouraged me to try using Vocaloid and create songs. I got inspired when I watched some of the videos from producers like Livetune and I thought that they’re just normal people, but they’re able to make music that can inspire others. So, I thought of giving it a try. Q: You’ve made a lot of music since your career first started. So how has your experience shaped your current music? Y: In the past, I started out doing music which was more of my own opinion, thoughts and imagination. So naturally after doing this for a long time, your creative juice runs out. So, I like to take baths in public baths. All my music comes into my mind when I’m in the public baths. When I’m out of creativity juice and I’m really desperate for a song, I go to the public baths at least four times a day (enacts scene of him sitting in the bath). My pattern is that when I immediately think of the song, I immediately get out of the bath, grab my phone and leave a voice note. I go in and out a lot so I think the caretaker of the bath probably thinks I’m a weirdo now (laughs). I really want to apologise to the old lady that takes care of the bath (bows). But I’ll still keep doing it (laughs). Q: You were the former Sound Producer for BABYMETAL. So, how did it feel like working for them? Y: For BABYMETAL, there is no deadline to produce songs at certain times. For me, we have to continue producing songs every day even until the day of the event. Q: What were the challenges you faced while working with them? Y: I have some health issues but for the sake of the three people in BABYMETAL, I just forget about my health and do my best for them. To be truthful, I don’t recommend this path, even for Malaysians who wants to try out the music scene. First of all, you’ll take away my work (laughs). Even for me, working in this project is not a very easy path. If you want to take on this job, you shouldn’t jump in without thinking, your life will be very difficult. I’ve put in a lot of effort and hope that whatever I produce for BABYMETAL will inspire people and let people know that it’s their hard work. Q: Even until now, you’re still famous for your Vocaloid songs. Are you still going to produce more songs and what do you think about the future of Vocaloid? Y: I’ve decided to be very truthful. For me, I don’t find the Vocaloid community now interesting. I don’t think Vocaloid will fade out, but for example, Nico Nico Douga is a place where amateurs come together and do creative things that they want to do. However, it’s getting more commercialized now because big companies are targeting these individuals. I don’t think commercializing individual artists are a bad thing but I feel that these companies are interfering too much. Even for NND songs, it no longer represent the individual artists but it has become songs that must reach the top of the charts and sales. Because I started out producing Vocaloid songs out of passion and creativity, I don’t think I want to continue producing Vocaloid songs. However, I think it’d be interesting to see amateur artists from Southeast Asia coming to Nico Nico Douga to represent their own work. If there are any awesome Malaysian creators, please show your masterpiece. Q: You’ve gone into so many different genres. Which genre or song did you feel personally reflect you the best? Y: I get this question a lot (laughs). For me, I love music itself so it’s very difficult for me to choose a specific genre. So, I rather think of it as something that has no boundaries. Each genre has its own strong points. If I only concentrate on one genre, I feel that it’s very wasteful if I don’t explore other genres too. I don’t want to limit myself but what I really like the most now is metal. Q: Since you’re a singer, songwriter, producer and DJ, what is your main focus currently? Y: I also get this a lot (laughs). It’s the same as the question before. If possible, I want to try a lot of different things. However, what I think is most important is the heart of the music. Music is something very powerful for humans. For me, I want to make music as the core of my life right now. I don’t think my voice is very good but I want to challenge and improve myself. Y: Eehhh, I have too many! I love a lot of bands and I’ve managed to meet Skrillex in Japan. 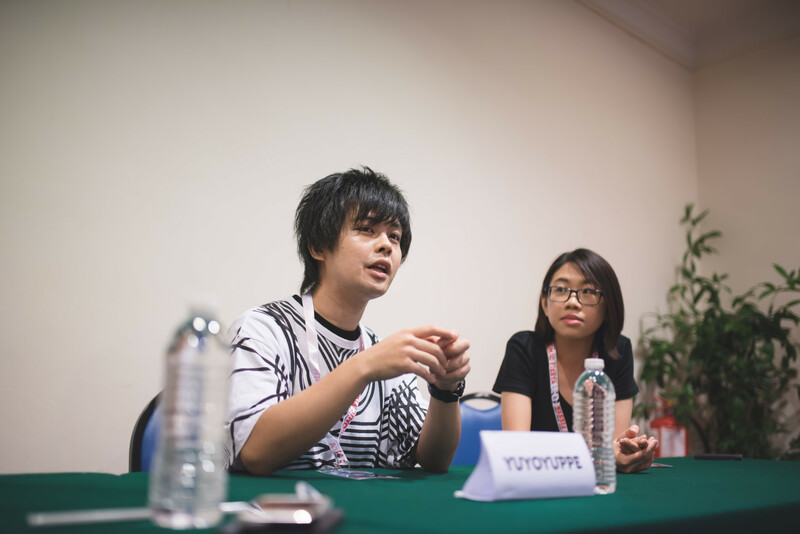 I also look up to the organizer of Comic Fiesta, Mr. Nerv (laughs). It’s because he invited me all the way from Japan so I want to keep that in mind and do my best for the performance. Y: I’m currently in a rock band called ‘GRILLED MEAT YOUNGMANS’. I’m the vocalist and I upload our videos on YouTube so I hope that people will watch it. After that, I want to be a pirate (laughs). Being a pirate looks fun and if I ever fall into the sea, I can swim so I’m perfect for the job. I’ll do my best (laughs). Q: So, does that mean you like One Piece? Y: I liked it until Choppa came out. After that, I felt that it was a little weird so I didn’t read it. I’ll try my best to read it though (laughs). 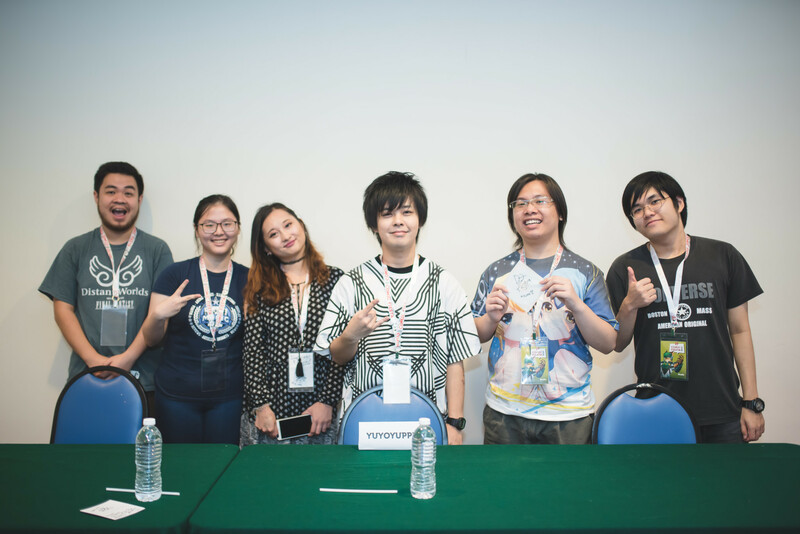 We are very thankful for the opportunity to interview yuyoyuppe and we had a blast during his concert on Day 2 of Comic Fiesta 2016. 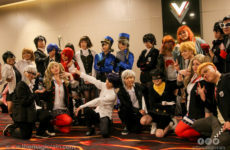 We hope he had a great time during Comic Fiesta as well as his stay in Malaysia. 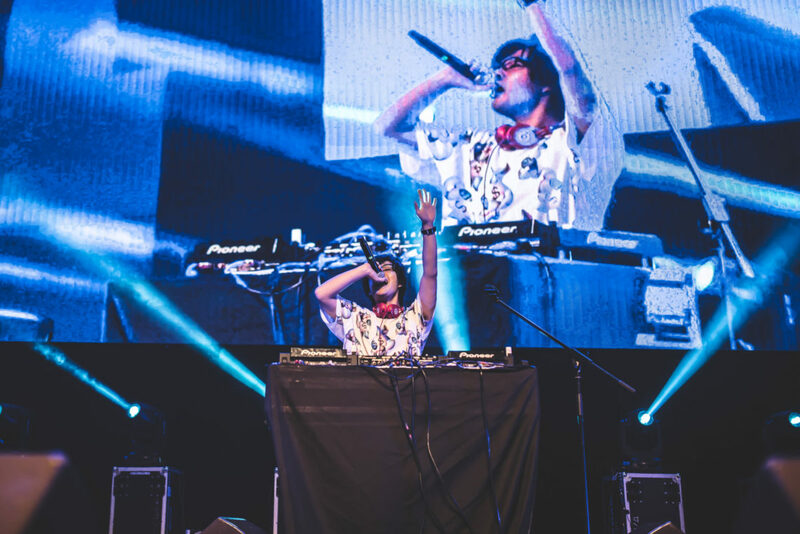 To find out more about yuyoyuppe/DJ TEKINA//SOMETHING, check out his facebook page here! AniManGaki X Complete. Initiating Event Battle Report!